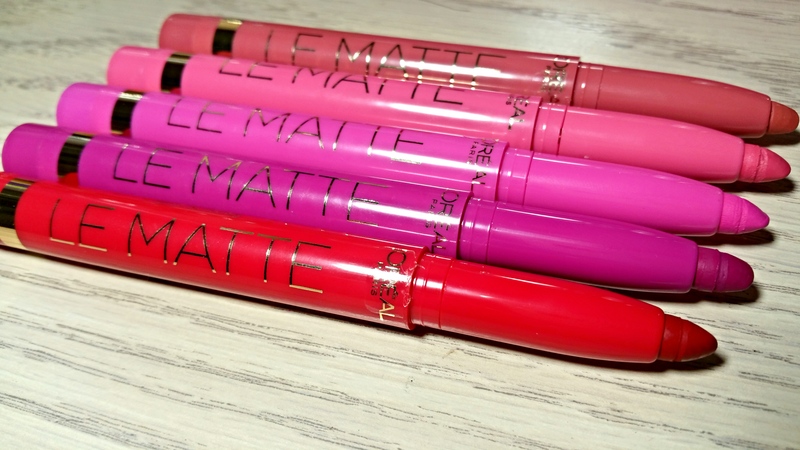 L’oreal Le Matte is Back! And La Lacque too! But we’ll talk about that later. 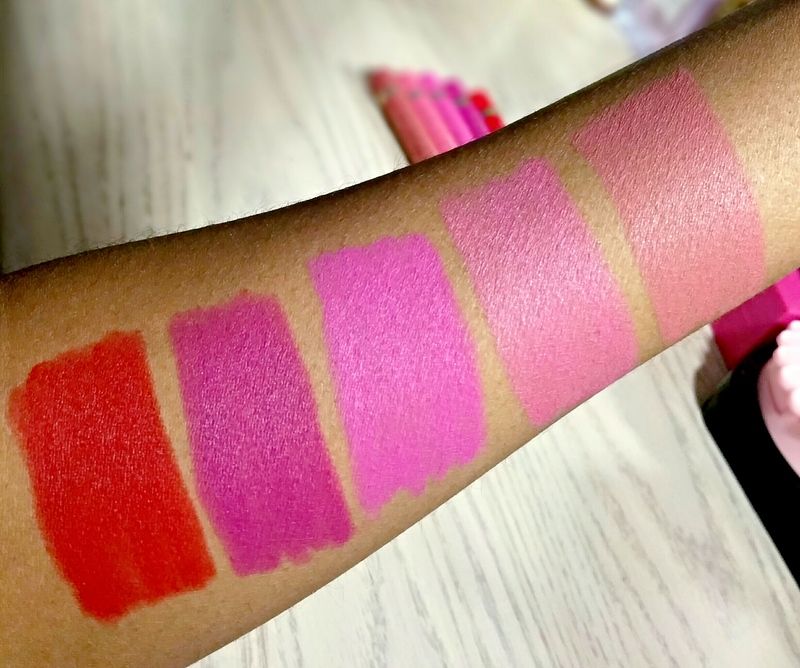 I don’t know if you remember but about 2 years ago L’Oreal released a handful of flashy lip pencils in a lacquer and matte finish. I kept an eye out for them but I never found a display so I had to sit on the sidelines and watch all the pretty swatches go by. Le sigh. 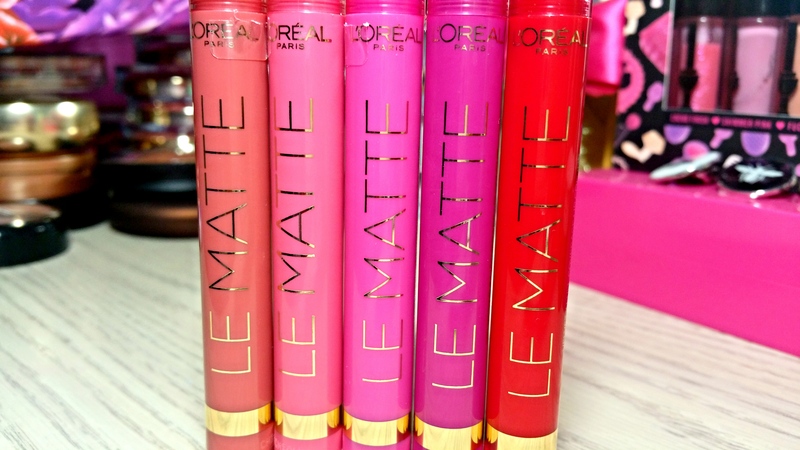 As L’Oreal claims, these babies are pretty pigmented and they’re velvety smooth, too. I don’t know why they were so hard to find during the first release but I’m glad I’m finally able to try them. The quality seems to be pretty decent and I really like the packaging. And how cute are the names?! 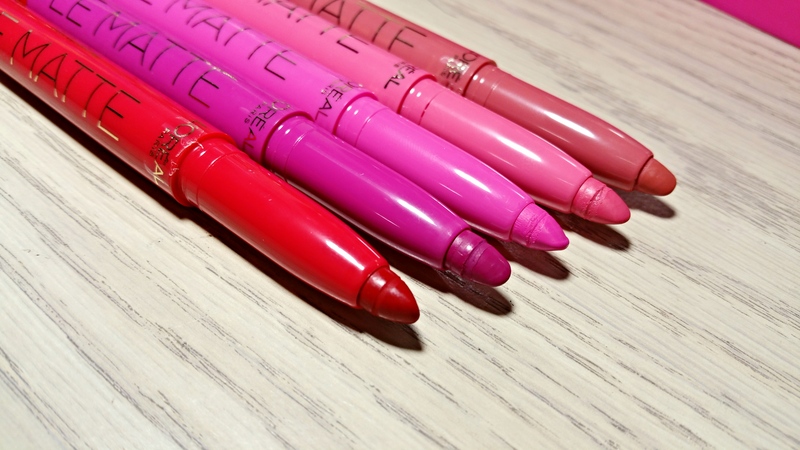 Will you be trying any of the L’Oreal Le Matte pencils? ← What’s Your Favorite Neutral Polish? Nothing wrong with that lol. I am too! I looked everywhere for these during the first release so I’m over the moon now that they’re back. Just look at how cute they are! I was looking for these a few years back, & everywhere was sold out. I could’ve sworn they also made a purple color? 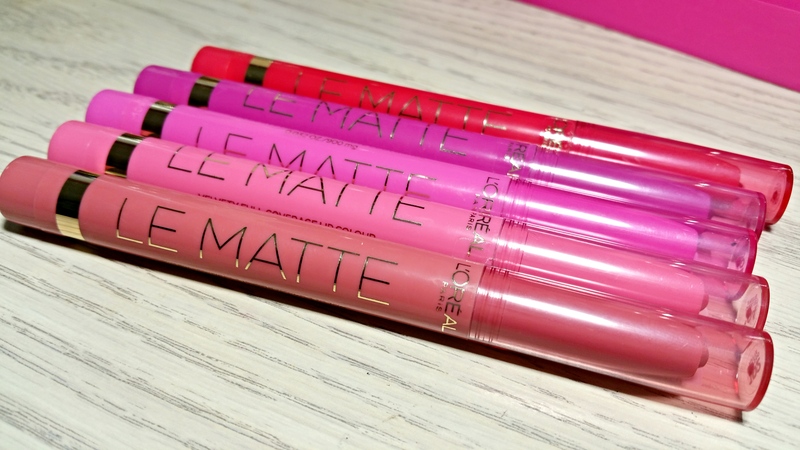 Maybe I’m wrong..
A purple matte would be perfect, I’ll be passing on this collection.